The smallframe Vespa has a multitude of kits available for it which can make a huge improvement. The standard Primavera (non ET3) barrel only has two ports and the Polini has a total of 7 ports from three main transfers. 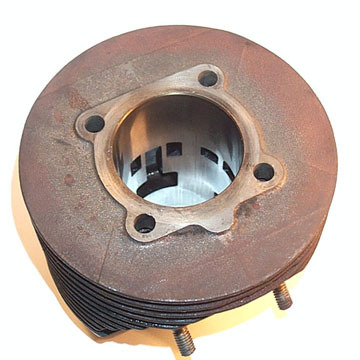 The kit runs on a standard 51mm stroke but increase the bore from the standard 55mm Primavera to 57mm to attain 130cc. 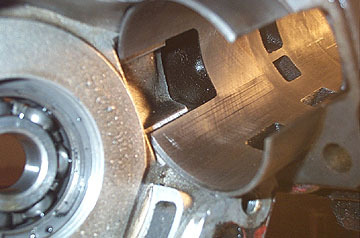 The shot above shows the third port which then splits into three separate ports around the piston. Each of the two main side transfers splits into two ports for a total of seven! 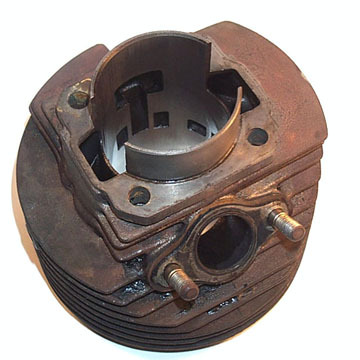 The piston is very similar to the original Primavera ET3 piston with a slightly larger bore. 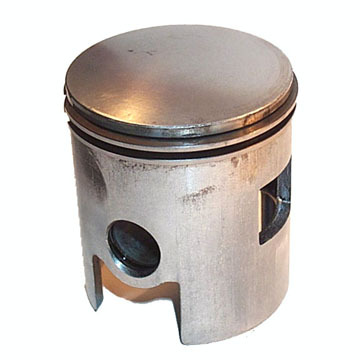 The piston rings have a square profile and as far as I can see are not bevelled. A dry fit on the clutch side casing shows that the cast casing mouth transfer needs to be opened out to get the full potential of the kit. 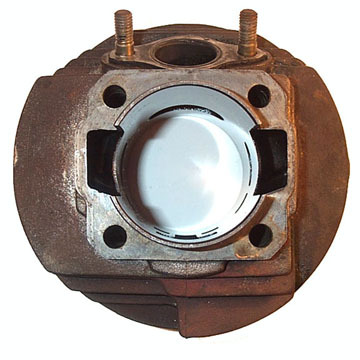 What is hard to see here is that there is also a step between the side of the casing transfer and the side of the barrel transfer. In the next few months I'll be matching these up and will add a page when I do.